Calm down, errbody. Seeing James Reid and Nadine Lustre kiss is NBD for us, right? Right. So our fave boy James just sent out this super sweet Thank You post for his recent surprise birthday bash c/o the best gf in the world, Nadz. 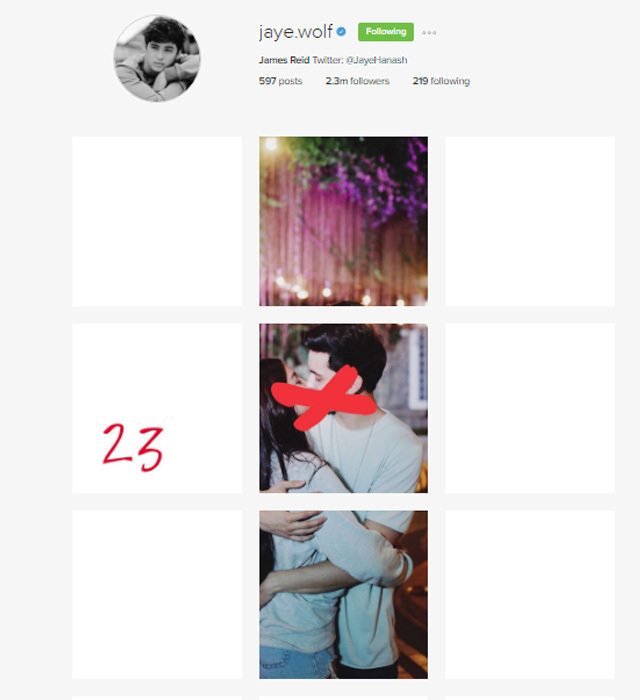 The photo grid is of the two in a tight embrace with a huge red X over their locked lips! Ughhh, what a tease, James!